Maybe I have some internal, subconscious sexism to root out, but the only DC film I’ve been eagerly awaiting is Aquaman. Wonder Woman is cool, and I’m intrigued to see her in the ’80s, but my heart is with Aquaman. Maybe it’s not so much sexism as it is, to use that Twitter slang, “thirst.” But even if I’m speaking without regarding my hormones, I do want to see how they’ll rejigger the superhero who has been often deemed as the most useless one of the Justice League. Casting someone like Jason Momoa is definitely a start to rectifying the damage done to Aquaman’s reputation, and having someone like James Wan in the director’s chair also helps–the man has directed or will direct many of modern Hollywood’s big horror and action franchise films, such as the Annabelle series, much of the Saw series, The Conjuring 2, 3, and its upcoming spinoff The Nun, and the upcoming reboots of Mortal Kombat and Resident Evil, to name only a few. 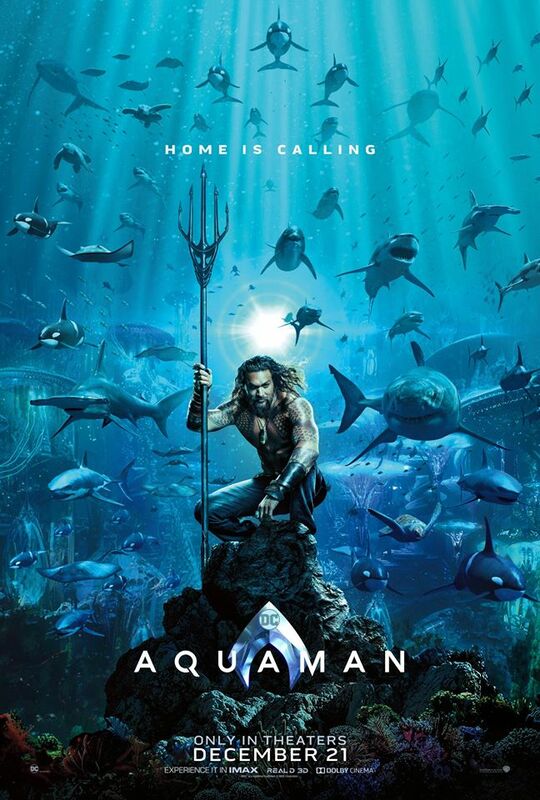 It seems like all of the aforementioned elements are coming together in this brand new poster, which features Aquaman heralding his squad–tons of orcas, sting rays, swordfish, turtles, and humpback whales, and sharks. I think the poster looks awesome, and it’s only making me even more excited to see how everything looks and sounds onscreen. For many people, Aquaman is going to be a fun Christmas experience.